The City of Guthrie has a Council-Manager form of government. The elected Mayor and City Council establish policy and appoint a City Manager who operates within and enforces that policy. 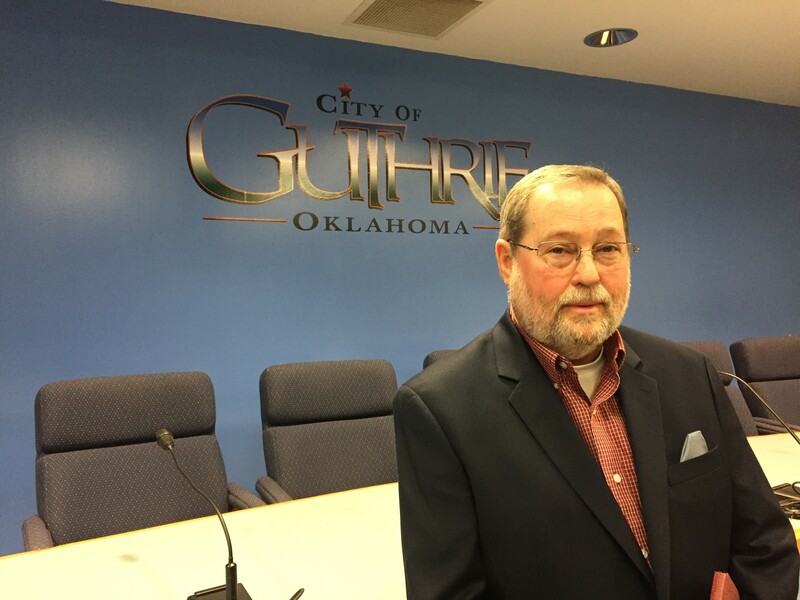 The City of Guthrie is proud to announce and welcome Leroy D. Alsup, who the Guthrie City Council unanimously hired as Guthrie’s new City Manager on December 15, 2016. Mr. Alsup’s extensive education includes a Masters of Public Administration from the University of Kansas, a Masters of Business Administration from Southwestern College, a Masters of Geography in Urban and Regional Planning from Miami University, and dual Bachelor’s degrees in Geography and Political Science from West Texas State University. His additional certifications include Economic Development from the International Economic Development Council (IEDC) and from University of Oklahoma, Program General Administrator and Housing Program Administrator from Kansas Certified Community Development Block Program, and Leadership Kansas Class of 1998. Mr. Alsup has over 25 years of experience in local government, most recently serving as the Director of Community and Economic Development for the City of McAlester, Oklahoma. His City Management experience includes service as City Manager of Catoosa, Oklahoma, of Coffeyville, Kansas, and of Cushing, Oklahoma. He also has served as County Administrator of Cowley County, Kansas, and Director of Economic Development for the Altus Chamber of Commerce. During this time, he received Leadership Coffeyville’s Community “IMPACT” Award, the Perl Schmid Golden Shovel Award, an Outstanding Achievement in Community Development Award, an IEDC Economic Development Partnership Award, and two Outstanding Chamber Partner awards.